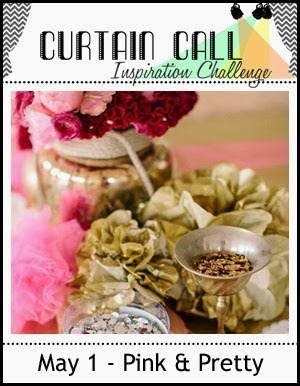 Just popping in quickly to post a card I made for the latest Curtain Call Inspiration Challenge. The inspiration pic is beautiful. I drew inspiration from the pink flowers and the gold to make my card. I am also going to put this in the Simon Says Stamp Challenge - Spring Flowers. Happy Mothers Day to all the mums in my part of the world celebrating Mother's Day tomorrow. Hope you have a wonderful day! As well as products below, I used Silhouette cut files for the Hello & the Vase. Tracy this is a gorgeous card. 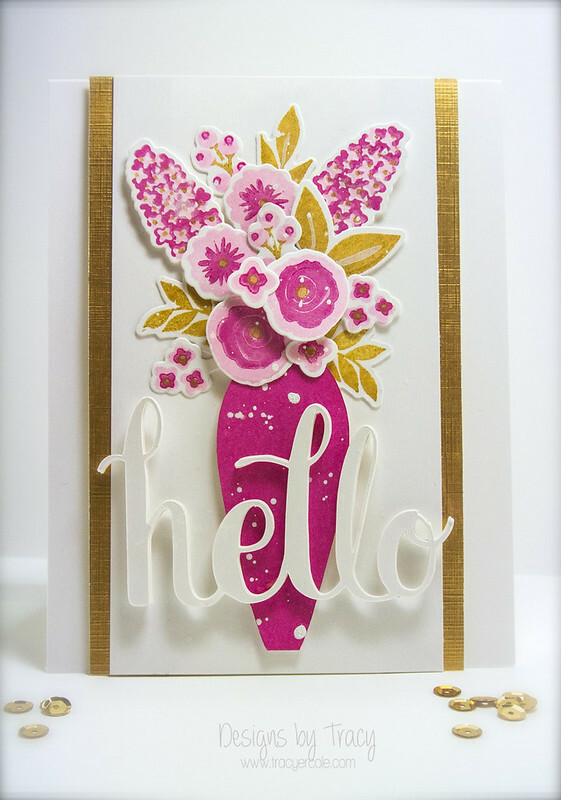 Love the pinks and that gorgeous big die cut sentiment. Loving the little gold sequins in your photography too - nice touch. 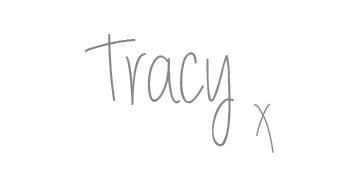 Tracy this is just gorgeous. Love all the pink flowers! Thank you so much for sharing with us at the Curtain Call! BEAUTIFUL card Tracey, love the gold border and your vase of flowers!! Gorgeous bouquet! Love the bright pink & gold. ummmmm, I LOVE this! such a WOW card. stunning flowers and gorgeous touches of gold. well done. thanks for playing with us at Curtain Call. What a wonderful Vase of Flowers, fabulous card.